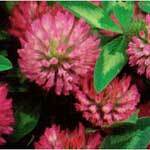 Some individuals with type II diabetes may benefit from red clover extract. Although this herbal medicine did not show any influence on the diabetes itself, many of the common complications of diabetes such as arterial narrowing may be improved in some by taking this herb. Red clover, whether it is taken as an extract, a tincture, or in red clover tea, will help improve blood circulation and minimize problems due to poor circulation. This is also a common problem with diabetes, and this causes a number of applications each year. Red clover extract contains phytoestrogens and isoflavones which can be used naturally to replace hormones as women age. Hormone replacement therapy is very controversial, with some experts advising against it and some experts recommending it. Some women claim that this herbal medicine helps with hot flashes and other common hormonal imbalance symptoms. One of the biggest red clover benefits is that this herb will help detoxify your body and eliminate any built up chemicals and toxins. In the laboratory a number of isoflavones which are present in red clover extract have been shown to have cancer fighting properties, but more research is needed on the effects in humans before this treatment is recommended by many physicians. One of the beneficial red clover extract side effects is that this herbal medicine may help to lower your cholesterol levels. Some scientific studies have been done on the effects that red clover has on cholesterol, but there is not enough evidence yet to definitively prove this link. Osteoporosis is another condition that may benefit from using red clover extract, And this is also due to the isoflavones which are contained in this herbal medicine. Because the isoflavones act as a phytoestrogen it is possible that regular use of red clover could lead to increased bone density and minimize the risk of osteoporosis. One of the most common red clover herb uses is as an herbal medicine to treat benign prostatic hypertrophic, also commonly called BPH. There has not been enough scientific studies done to say one way or another, and a number of experts contradict each other on whether or not red clover can help treat BPH. Red clover extract has diuretic properties, and can help increase your urine output. This can be beneficial if you are bloated from your menstrual cycle or are retaining water for any other reason. One of the most popular reasons to buy red clover extract Is that this herb has been used as an anti-inflammatory for many years.